Austin, Texas will host the 2014 Society of Architectural Historians Annual Conference in April. In addition to the paper sessions, talks, and events, a series of guided tours will highlight the architectural history of this "rapidly growing city with a diverse architectural and cultural heritage." Timothy Parker and I will lead two related tours to explore Austin's religious architecture. 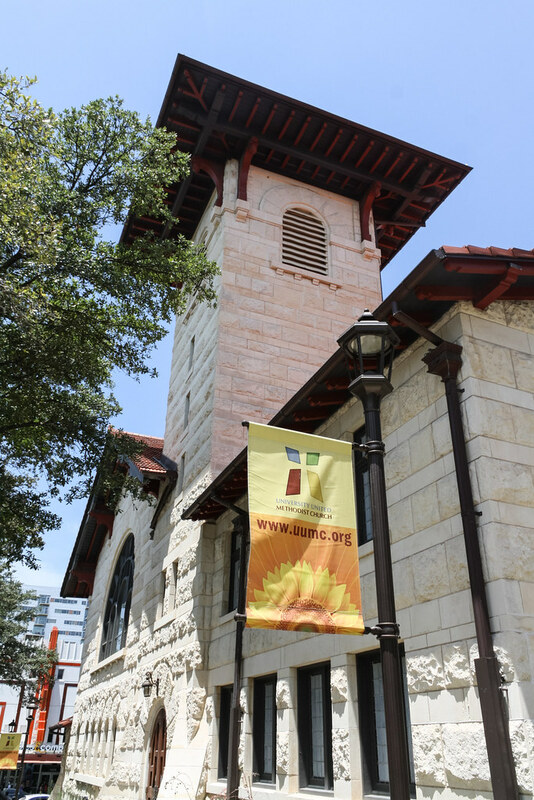 The oldest monumental religious buildings in downtown Austin are marked by histories of change and adaptation. We will tour significant examples of this architecture and consider the periodic and recent challenges of preservation, conservation, and restoration. Included in the tour will be Gethsemane Lutheran Church (1883), now the Library of the Texas Historical Commission; St. David’s Episcopal Church (1853), the oldest extant stone masonry religious building in the city; and St. Mary Cathedral (1874–1884), a key work in the prolific career of Galveston architect Nicholas Clayton. 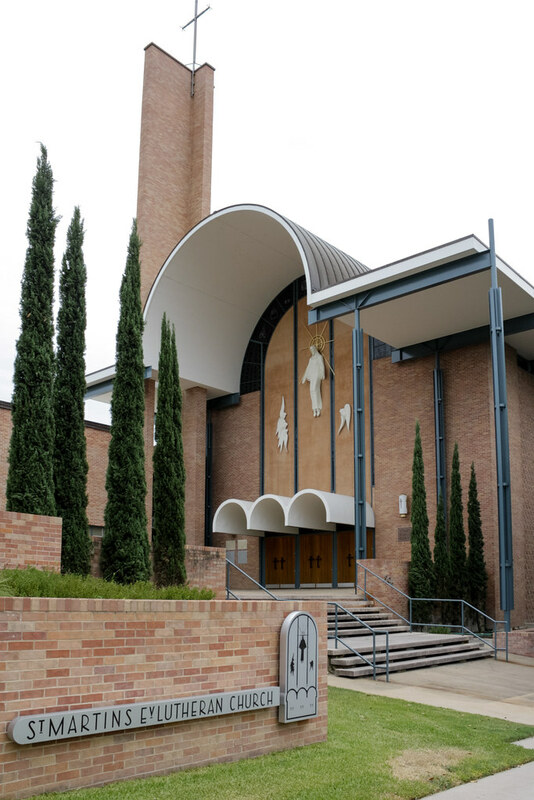 Modern religious architecture in Austin emerged under the dominating influences of state institutions, revealing the tenuous separation of church and state in the American South, while responding to changing congregational identities and liturgical developments through the twentieth century. Each of the buildings on this tour balances distinctly modern developments with an overt commitment to retaining continuity with tradition. We will explore churches built in proximity to the university, the Capitol, and state facilities throughout the city. Our stops will include the Richardsonian Romanesque auditorium church of University United Methodist Church (Frederick Mann, 1909), two abstractions of the primitive Christian basilicas in Central Christian Church (Robert Leon White and Samuel Vosper, 1929) and St. Martin’s Evangelical Lutheran Church (Robert George Mather of Jessen Jessen Millhouse & Greeven, 1960), and the Interfaith Chapel (David Graeber, 1962) at the Austin State Supported Living Center. Registration for the conference is already underway. The tours are also open to the general public separate from confrence registration; anyone interested in just the tours can register starting 16 February 2014. Here is a preview of the churches to be included on these tours. There were many others we considered but had to omit due to the constraints of the format. Perhaps a guidebook is in order? Swedish Lutheran Church built in 1882-83 from materials salvaged from the State Capitol building that burned down in 1881. The church is now the library of the Texas Historical Commission. Begun in 1853 according to plans conceived by the Rector, St David's grew in increments revealing variations in the Gothic Revival over time. This is one of the oldest buildings in Austin. Architect Nicholas J. Clayton designed a number of Roman Catholic cathedrals in Texas, each with a dramatically different interpretation of Gothic Revival. The cathedral in Austin opened in 1884. UUMC is an auditorium church influenced heavily by Richardsonian Romanesque. Designed by Fredrick Mann in 1905-1909, it in turn helped establish the architectural character of the UT Campus for the next century. 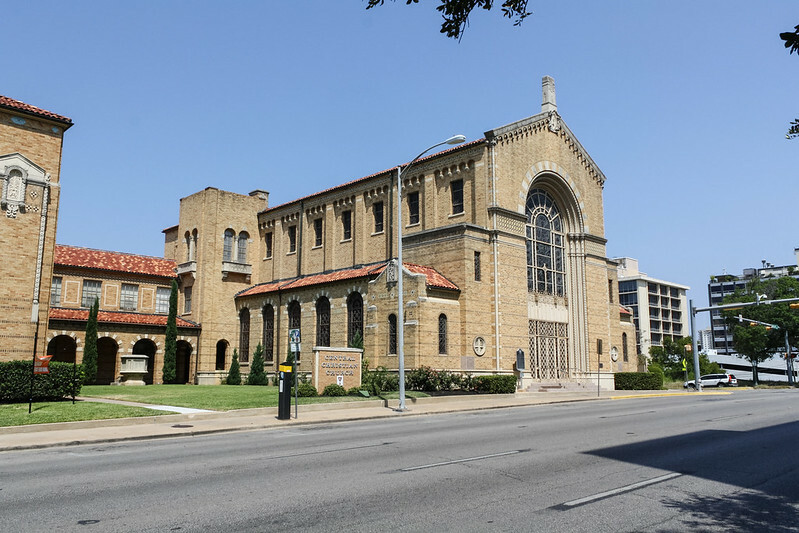 This Disciples of Christ church from 1929, the work of Robert Leon White and Samuel Charles Phelps Vosper, is an excellent example of the Beaux-Arts principles taught in the Department of Architecture at the University of Texas in the first half of the 20th century. The design of St Martin's (1960) is a bold Modernist (post-Miesian?) interpretation of the primitive Christian basilica. Read more here. David Graeber designed a magnificent chapel for what was at the time the state group home for children with intellectual and developmental disabilities. Dedicated in 1962, it continues to serve as the spiritual center of its small village. Read more here.